M/Y Gulet Dolce vita, is a stunning, traditional gulet made for your perfect Croatian vacation. 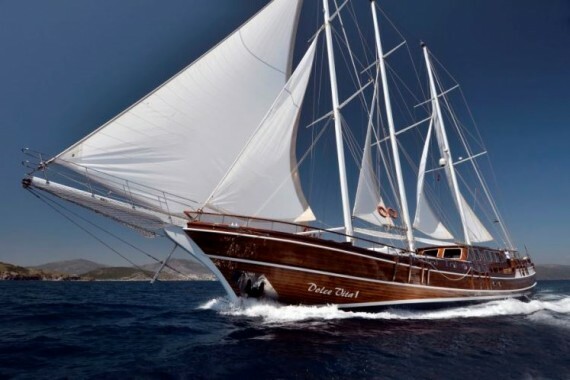 This gulet is available for charter in Croatia at chartercroatia.net. 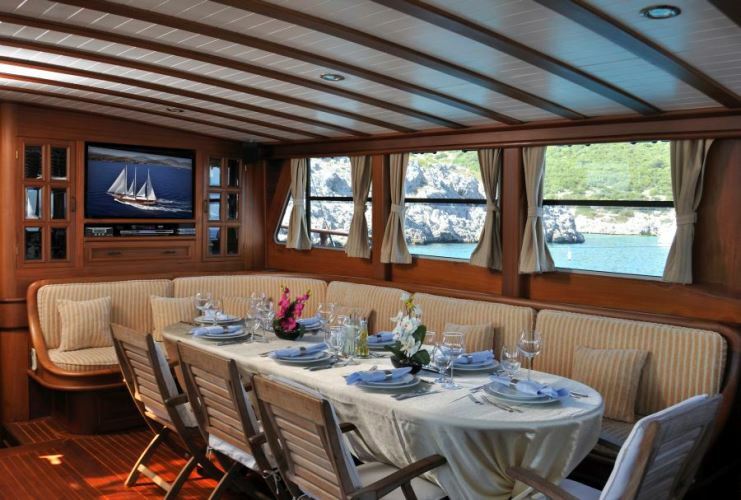 Starting from the top down, this beautiful sailing/motor boat has the feeling of a true traditional vessel. 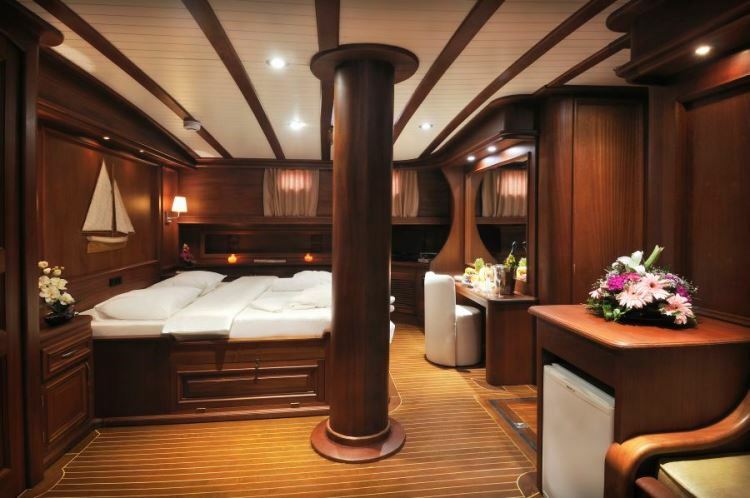 Wood is used on almost all components on board, including the deck, and the outside of the boat. 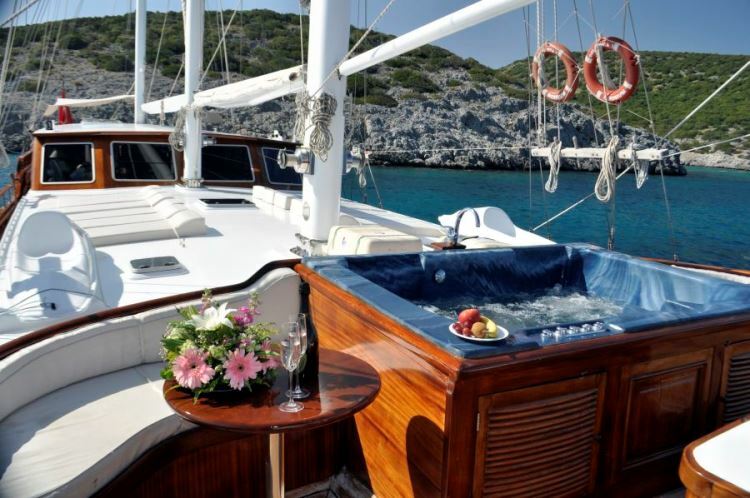 The traditional, however is blissfully in sync with the modern, as Dolce Vita is luxuriously completed with a Jacuzzi tub on the bow, and a grand table with comfortable seating on the stern of the boat. 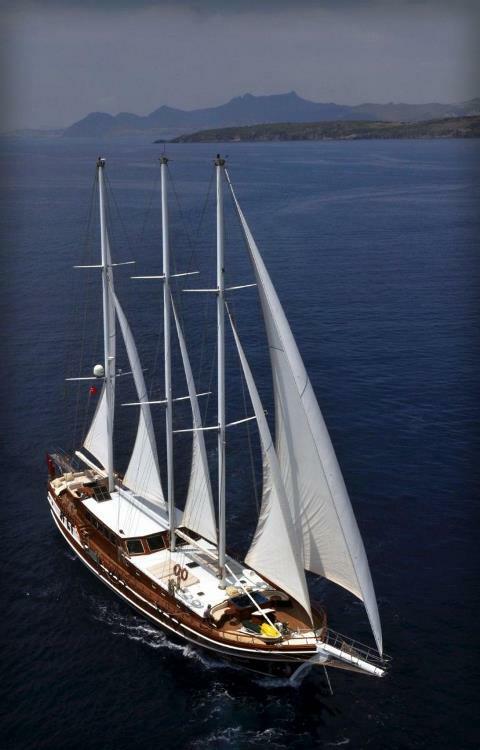 All through the length of the gulet there are sunbathing areas made for your enjoyment! 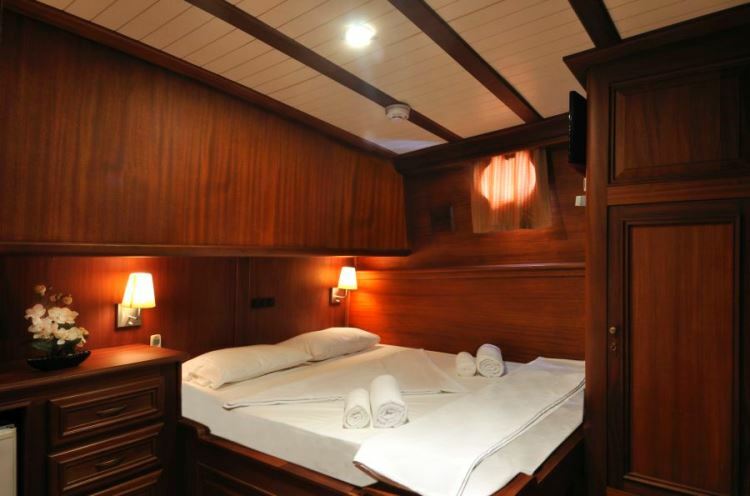 The six cabins inside the boat can provide a more then a comfortable stay for up to 12 guests. The interior also has a dining area, in a spacious saloon where you can enjoy yourself with a great rest along friends and family. For the active travelers there’s great news. Dolce Vita comes equipped with a jet ski, canoe, and a windsurfing rig. 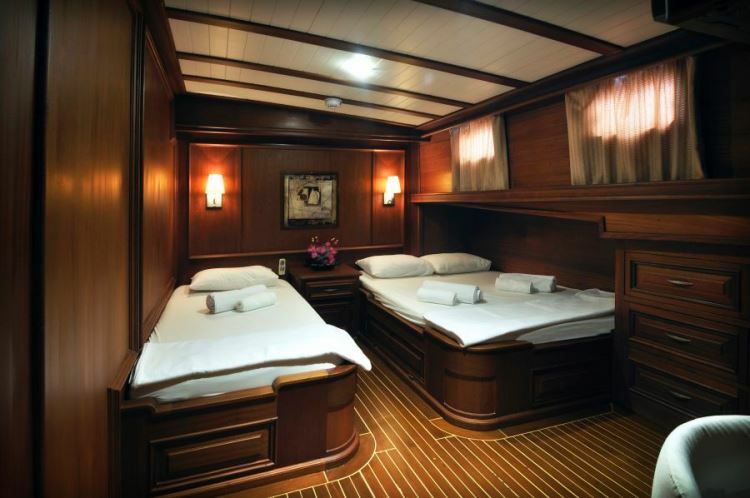 You can also go swimming, diving, or snorkeling, so at sea, you should never run out of activities. · 4 crew (skipper, cook, 2xsailor). Additional crew like hostess on request at extra charge. 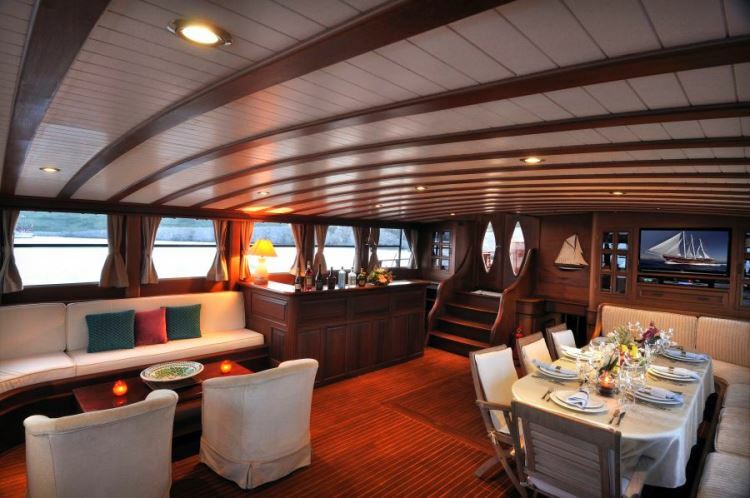 · Drinks are provided at reasonable prices from yacht’s bar on board. 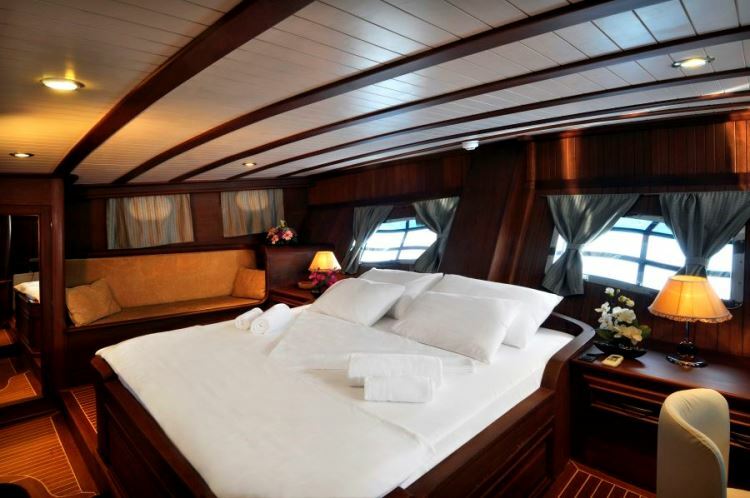 · Transfer or hotel accommodation if requested can be provided from our company. · For air – condition max. working are 6 hours a day out of marina. 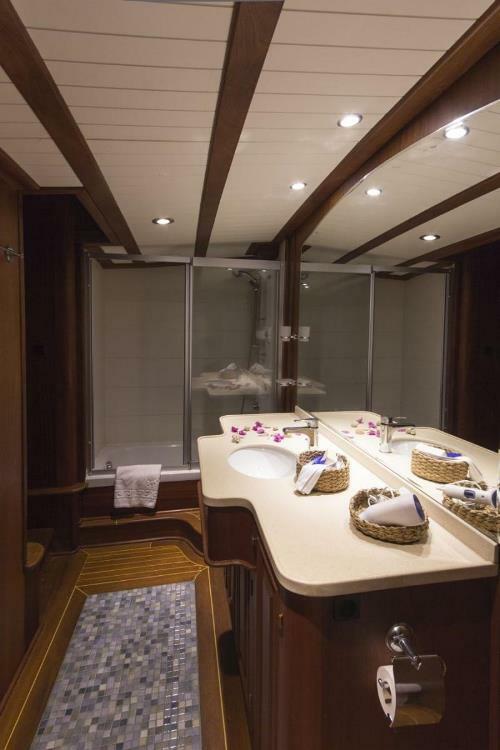 Here you can find basic information about M/Y Dolce Vita. 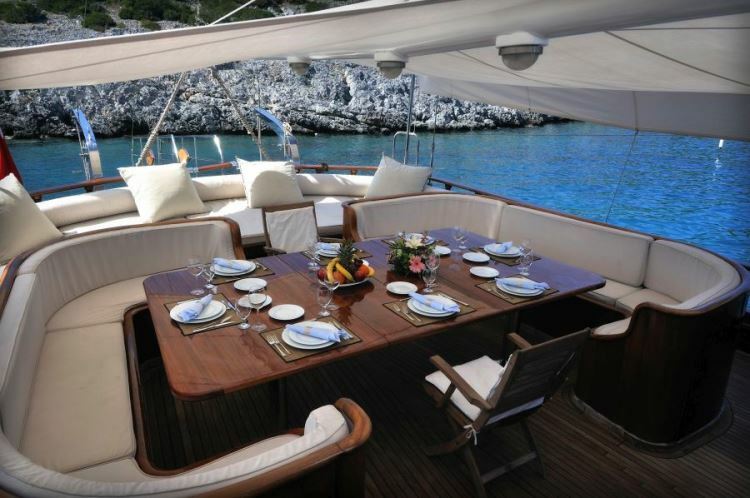 Other specifications, can vary from boat to boat, therefore we recommend to search for particular M/Y Dolce Vita from our database, in the destinations of your preference.